Pashinyan and Sorensen discussed the possibilities of expanding the company’s activity in Armenia on the sidelines of the World Economic Forum in Davos. 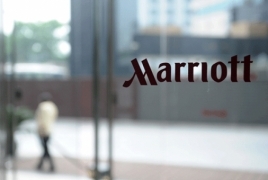 Sorenson said, in turn, that they are considering new investment projects by Marriott International and the opening of new hotels in the country. Hailing the government’s efforts aimed at improving Armenia’s business environment, he expressed confidence that they would help effectively implement the projects in question.